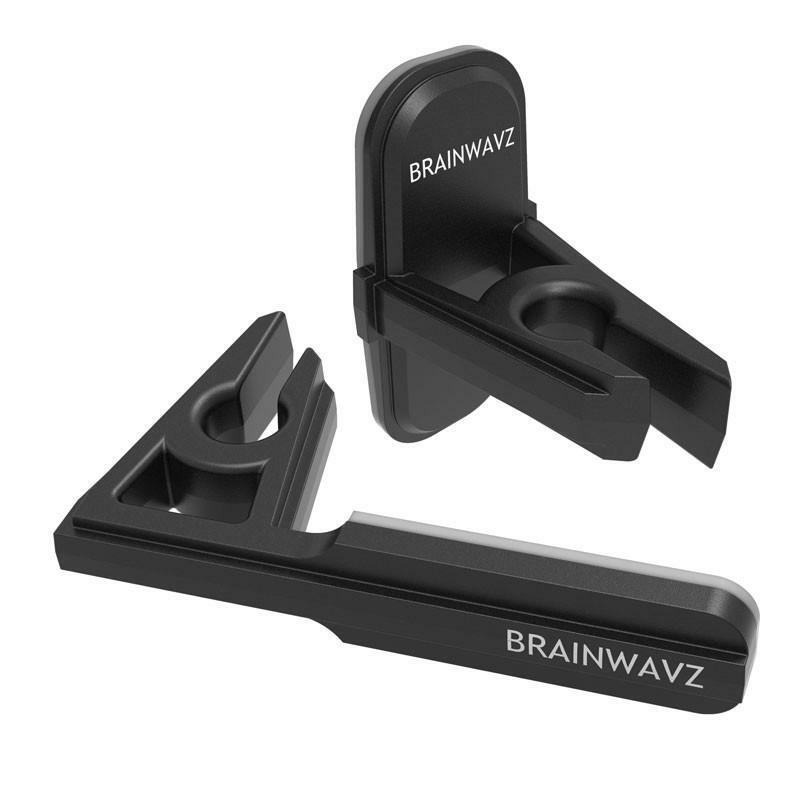 Brainwavz were kind enough to send me their Krudul Duo earphone hanger. This product is designed to attach to your desk, your laptop or anything else really to give you a place to hang your earphones. They came in a compact box that was easy to open. The box has two hangers, one seems good for putting on the back / front of a desk, the other for attaching to a monitor or similar. They’re both made of aluminium, and seem both very strong and very light. They’re a matt black, with a very slight sheen / reflective to it, they’re quite good looking. 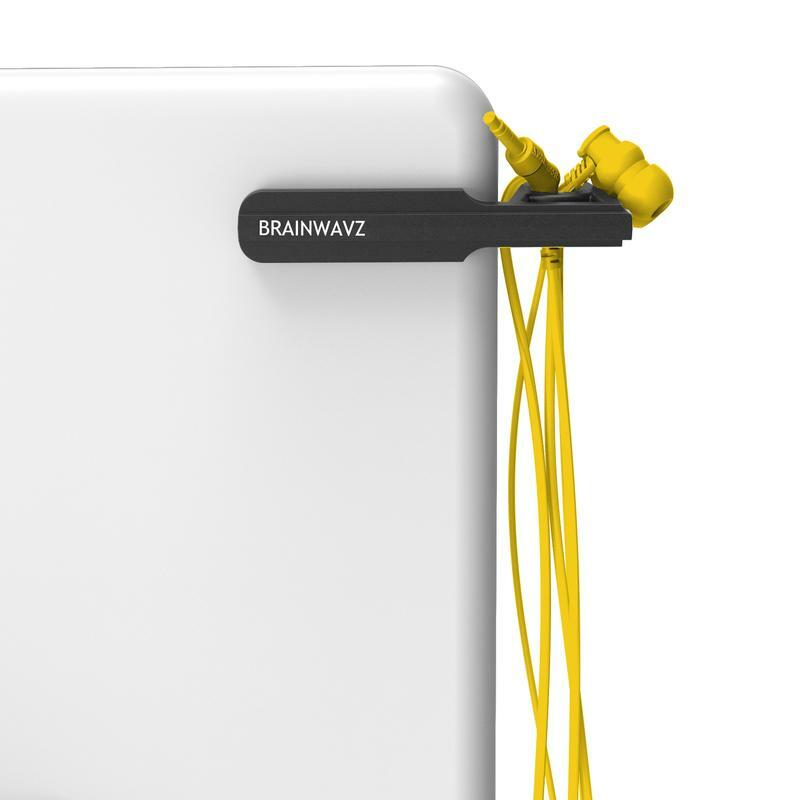 They come with 3M adhesive to attach them to whatever you need them attached to. It looks like a permanent attachment rather than one of the 3M removable strips to me. 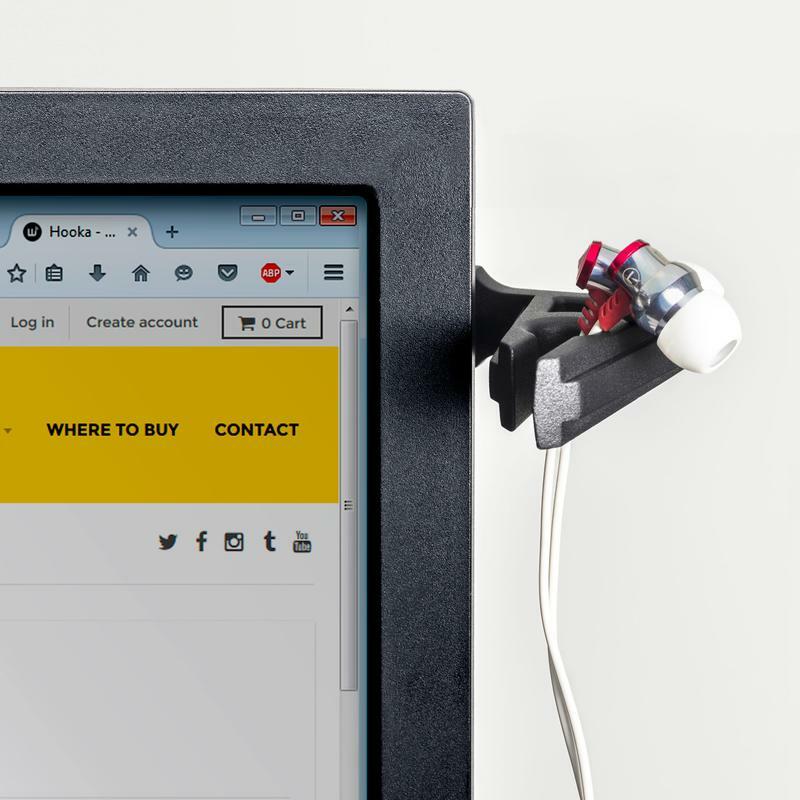 I don’t use compact headphones very often at my desk, as I prefer full sized headphones. Instead I used these at the back of my desk for cable management of my various USB charging cables. I found them good for that, with the cords staying in place well, but able to be removed if they need to be. 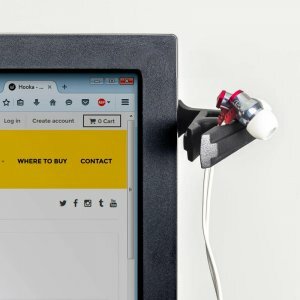 I’m sure they’d do well with holding headphones as well, as the larger part that goes in your ear couldn’t slip through the gap. If you need this sort of a product, I think this is a well made options that you should consider. They’re available from Amazon.com for US$13.